Yesterday is the longest day, the memories which I am collected should be in any one of the culverts. I believe in becoming Indian first rather than belong to any one of the religion, caste or creed. I went to temple to get the blessings on the auspicious day. 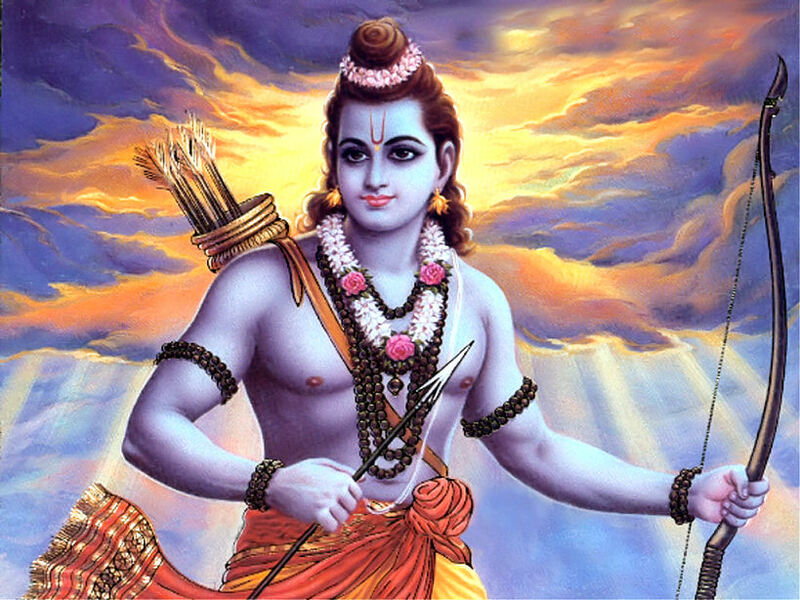 Lord Rama never failed to me, of course I am emotionally connected to him always. When I am in Kakinada, I planned for several times to go to Badrachalam that never happened in my life. The nearby temple, I visited twice, once I unknowingly went to that temple and that day it was Sitarama kalyana mahotsava. I was told that if I went unknowingly I will get married soon. It happened in my life, my marriage. I nearly separated from Rama, I am not getting his Darshans in temples. Knowing him through the books like Ramayana and talking about him gives me immense pleasure. I seriously recollect the memories of why in Tamil Nadu, Rama become unpopular because they need to speak about their chief minister MG Ramachandran. As a leader none can beat him, but as a god he separated from the people. Yesterday I planned to go to Ganesha temple, which got closed earlier. Then I started searching for Raghavendra temple, I got this temple near RT Nagar. Kothandarama Temple. It is the small temple, lengthed about 600 sq. feet. The temple surrounded by photos of gods like, Shaneeshwar, Rama and special photo arranged with Table to provide a pooja for it is Satyanarayana Swamyvaru. The temple provided with Ganta, and the mirror and stand accomodating for Kumkuma and pasupu. The temple had automatic music system, when the Archagar doing pooja he switching on it, the drums and clings played away. The poojary had the Nama and providing non-stoppable of poojas. At left Ganesha and right it had Raghavendra, which I remembered later that I thought of going to these two temples, I got Darshan at once.Rama with Lakshmana and Sita with Hanuman kneeling before that darshan. I am entirely emotioned once the pooja has been conducted and at last the one of the most sweetest prashada I ever had. 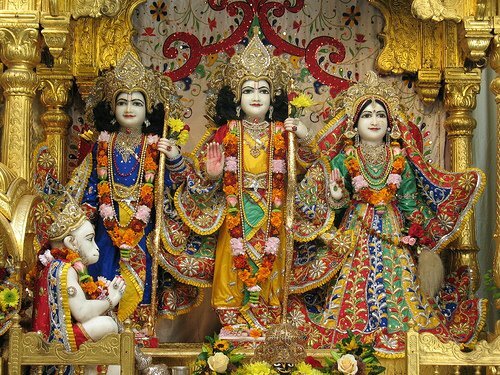 Rama not only my luckiest god, my favourite god too. In my life in each situation was connected to him. Its like reading Ramayana's Kandas. My devotion and bhakti to him is increasing each time, there are many words to express it. I can't make it one capsule to show my Bhakti, of course he knows it.